One day in August of 2009 I dropped my 16 year old daughter off at a residential treatment centre in Utah, USA, got in a rental car and headed back to the airport. Two days before, the decision had been made to send her to this place as a last ditch kind of resort to hopefully get her the help she needed. Anna wasn't entirely impressed with the idea but even she had to admit that something needed to be done. Wonderfully this place had a real focus on equine therapy and as my daughter was 'horse mad', there was some consolation, seeing as we wouldn't be able to speak for the first few weeks of her stay. Understandably this was a really difficult time for all of us. As I headed back to the airport that afternoon I slumped back in my seat and experienced a whole load of emotions, and even though I had been warned that I would feel this way, I was still surprised that the predominant emotion was one of relief. "Utah? Seriously?? Yah, I don't think so." I can still remember that these were my words when my Dad first mentioned that perhaps Anna needed more help than the health system in Ontario could provide. Bless them, but my parents had seen the writing on the wall way before I did and I credit them with doing all the hard work of researching the options - I was way too busy just trying to stay afloat, stay sane myself. Before I get into more details about all this you should know that Anna is alright with me chronicling her journey in this blog. Her perspective is that if her story can help someone else, then it's all good (hmmm, seems to run in the family I guess). Anna grew up in a home where Domestic Violence was subtly present on a daily basis. There were other issues as well, certainly where her biological dad were concerned, but the DV was a huge issue for her. When a child grows up in an environment of tension, stress and anxiety, when they feel that they have no control over what is happening around them, then they can develop very serious complications as a result. Anna's anxiety began to increase, leading eventually to eating disorders and substance abuse. Driving away that day I knew that I had made the right decision, well, at least I had to believe that this group of people could help my child. I knew that time was running out and I truly felt that I would lose her for good if something didn't change. That's a pretty bleak point to be at as a parent. The feeling of relief was very real. Of course I had to be part of the therapy, which necessitated flying to Utah every six weeks for family weekend therapy sessions. I would make these trips with my first husband, Anna's father, and although I didn't exactly relish the idea of having to spend so much time together, I came to look forward to these weekend getaways not just because they provided me an opportunity to see Anna, but also because they provided a reprieve from what was going on in my home. There was a lot of therapy that would go on over those weekends, but there was also free time to go out and just enjoy spending time together... okay so we were totally not the nuclear little family but we certainly had fun. We explored mountain ranges, swam in hot springs, rode the chair lift at Sundance and had a lot of laughs. After a few of these trips I had started to understand that what was happening between my current husband and myself was not right. I know it sounds strange that I wouldn't have understood that I was being emotionally and mentally abused but if you are a survivor of DV then you might understand this - sometimes you need to experience the lack of abuse around you to begin to detect that you have grown all too used to it's presence in your life. It began to dawn on me that I was really unhappy with not only the way my husband treated me, but with the way that I felt about myself. Domestic Violence is insidious, it creeps in, lies dormant for a while and then begins to spread like a fungus. The process can be so gradual that you don't even see it happening. Sorry, I want to clarify here: it is not a process, it is behaviour that is decided upon by an individual and perpetrated on someone else. Domestic Violence in a home happens when a person decides that it is permissible to exert power and control over another or others. 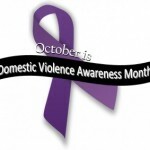 Domestic Violence rips and ruins, tears apart and destroys lives. Children are particularly vulnerable.